Support Fiat Siena,Palio,Weekend those models with Megamos encrypt ID48 chip ( work with 93LC66 of BSI computer). 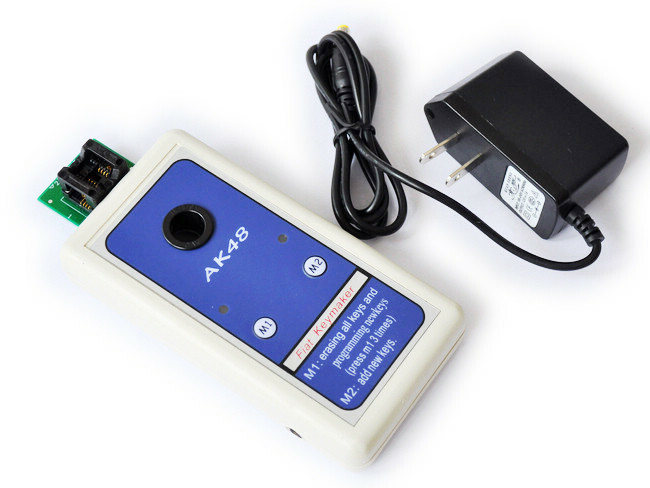 No need to connect computer and operate easily, 9V battery inside and no need to connect the supply power. 1.Delete original key,and copy new key,this function is for losing all original key. 2.Hold original key,and copy a new key. 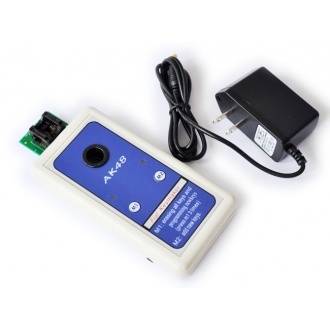 No need to connect computer and operate easily, 9V battery inside and no need to connect the supply power. 1 Remove BSI PC from the car, the BSI PC is in the left side of the driver, with the insurance seat for one seat. Need to remove the whole insurance box, and take out the BSI PC from the back of the insurance box, then weld 93LC66,. 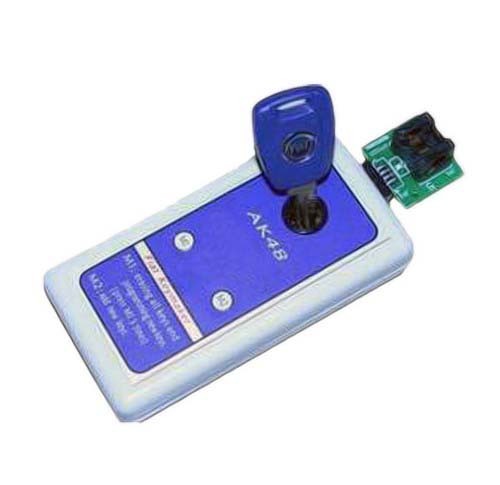 2 After remove 93LC66, clear all the feet of 93LC66, insert 93LC66 to the adapter of this programmer, then connect the adapter to the programmer. 3 Switch on the LED turn red then turn green, which mean the programmer self-test is normal. 4. 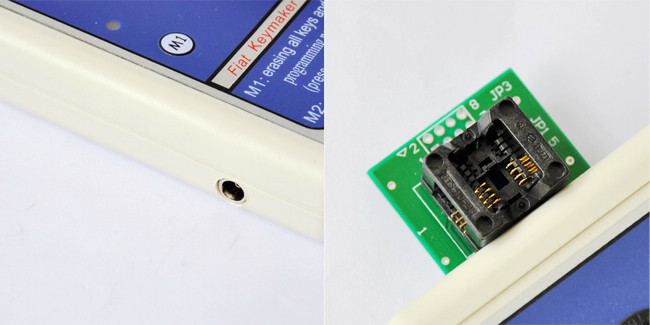 Choose M1 or M2 to program keys. If the led light twinkles one time and the loudspeaker loud one time, it shows that the programming is success. If LED lighting 5 times, and loudspeaker loud 5 times, it shows the wrong 93LC66 data or couldn’t find the 93LC66, need to check it is wrong with the connection or placement of the feet of 93LC66, and program keys again; If LED lighting 10 times, loudspeaker loud 10 times, it shows the ID48 chip is locked or the type of chip is wrong, need to program again. 5 Weld 93LC66 after finish the programming, and install BSI back to the car then it could be started.